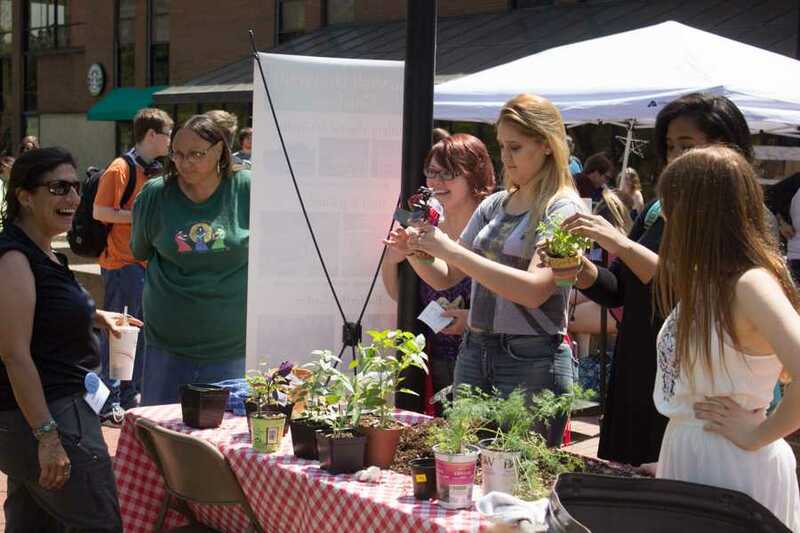 Marshall students place plants in painted pots during Earth Day outside the Memorial Student Center, April 20, 2016. 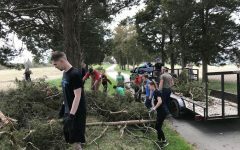 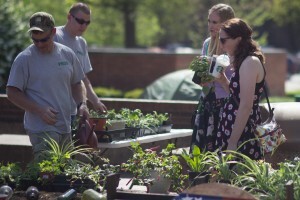 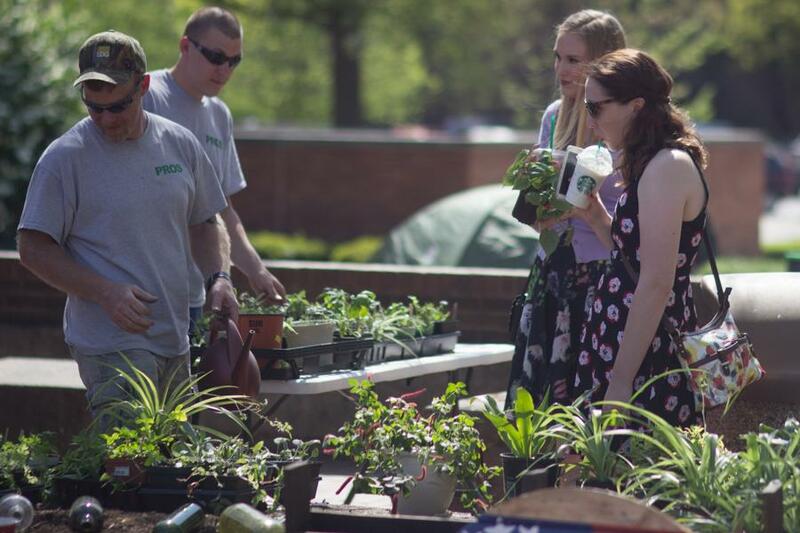 (From Right) Emily Bacchus and Hannah Blatt purchase plants from Alex Porter and Kole Labor during Earth Day at the Memorial Student Center, April 20, 2016. 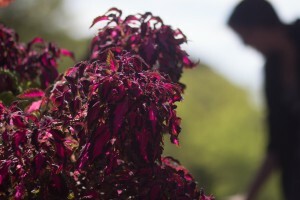 A large purple plant display outside the Memorial Student Center advertized plants for sale to students on Earth Day, April 20, 2016. 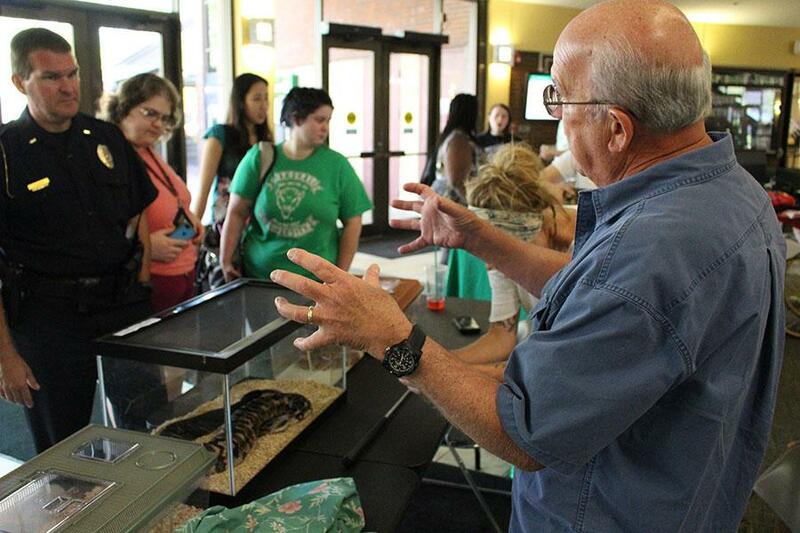 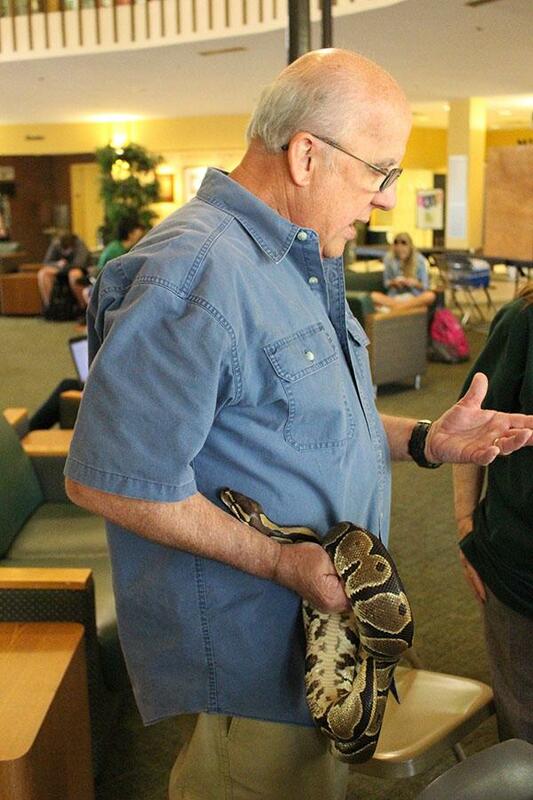 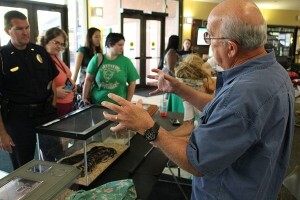 Larry Cartmill presents alongside his snake inside the Memorial Student Center during Earth Day, April 20, 2016. 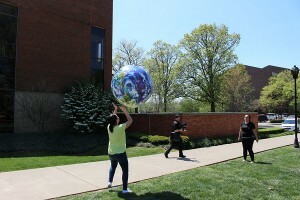 An inflatable globe brought to entertain students participating in Earth Day outside the Memorial Student Center, April 20, 2016. 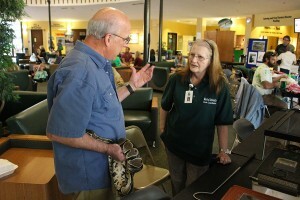 (From Left) Larry Cartmill speaks with desk coordinator Mary Tobey alongside his snake inside the Memorial Student Center during Earth Day, April 20, 2016.